As media companies continue to struggle on the ever-changing global and digital market, they often fail to be simultaneously innovative and entrepreneurial. As though intuitively knowing that they are still not on the right track, a growing number of media companies has been observed to approach eSports companies, intending to invest in innovative capabilities they lack themselves. The trend has reached its peak in 2015. Expanding the current research on ambidexterity with its either/or duality of exploration and exploitation, the authors propose a model of ultradexterity that goes beyond either/or and follows the logic of both/and. This conceptual paper is intended to characterize ultradexterity as a specific property of being both innovative and entrepreneurial at the same time. 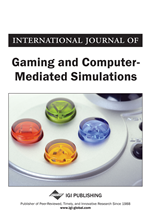 Based on ethnographical information and data on the eSports industry, the authors will carve out the ultradextrous working style of eSports companies that nourishes the expectation of media companies that incorporating such organizations will give them the opportunity to turn their lack of ambidexterity into ultradexterity. Many researchers and journalists characterize eSports or competitive gaming as a young phenomenon that only recently became popular. The earliest eSports competition, however, took place at Stanford University in 1972 (Taylor, 2012; Hiltscher, 2015). Within the past ten years, eSports have developed from a niche industry into a respectable player in the field of media. Superdata Research (2015a) expects the total worldwide market for eSports to grow from $747 million in 2015 to $1,929 million in 2018. At the ESL One Cologne 2015, a global tournament for the video game “Counter-Strike”, the live stream peaked at over 1.3 million users (ESL, 2015). Analysts claim that eSports may be “the next big thing in media and entertainment” (Takahashi, 2015), even concluding that “resistance is futile” (Casselmann, 2015).